What BILT Europe is packing under the kilt this year! 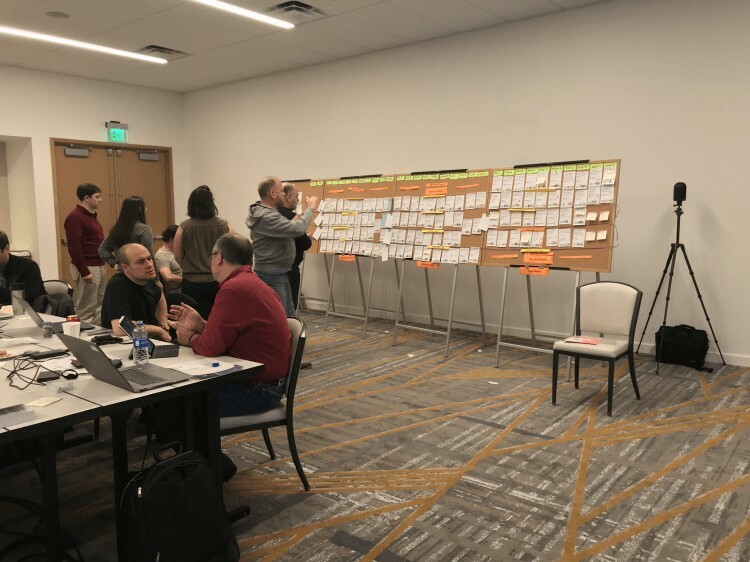 Nearly 380 abstracts were submitted for the 2019 conference (BCS, DTS, Data Day and BILT). We have around 110 slots to fill. Simple math tells us that for every accepted abstract, 3.5 people are going to be disappointed. It’s actually higher than that when you consider there’s a few sessions that’ll have the same speaker. If you proposed an Architectural session as the primary track, the odds are further against. There were nearly 75 abstracts for an an available 18 sessions. Simple math: for every accepted session 4.2 people are going to be disappointed. So what’s the process and parameters to review, select and reject submissions? First of all – it’s not automated. Secondly – every abstract is reviewed by multiple people multiple times. And then again during the planning workshop. It’s a very unsexy four-day process. So allow me to explain! Abstract Title / Synopsis / Body / Format. Sometimes we’ll love a session but ask the format to change (i.e., from Lab to Lecture). Speaker Experience. Bonus points for speaking in the office, user groups and professional conferences. If we like a proposal from a first time speaker we’ll likely pair you with someone with more experience and a similar session. Negative points for practically copying / pasting a session by another speaker from a previous year and conference and repurposing for your own use (you know who you are). Past Speaker Performance. Lower scores and lack of timeliness (past failure to turn in session materials) don’t work in your favor. As we go through the stacks, we separate the cards into two piles: Yes / Maybe and No. Every No session is given specific and actionable feedback. in may cases, we actually liked the abstract but chose another similar proposal. This process requires calories. Far more sessions are selected as Yes / Maybe than we need. Once we’ve gone through the stack we start again with the Yes / Maybe stack and spread the cards out face up knowing how many likely sessions are required. Then we separate cards into four piles: Yes, Bullpen, No and Reassign. Bullpen cards are set to the side as possible selections. Perhaps we find a slot for it later in the program. Or in the event of cancellation by an accepted session. No cards go into the No stack along with specific feedback. Reassign cards are put on top of other primary tracks. For example, we like an Construction proposal but we’d prefer it go into the Structure track. Or we like a Lecture but prefer it’d turn into a Lab. By Day 3 we’ve (hopefully) selected all the Yes sessions across all events and session types. This prepares us for Day 4 horse trading and actually organizing the program. Kick off the day with a bang. Harder, technical sessions early. Relaxed inspirational (or controversial) sessions later which can flow into post-classroom networking discussions. Keep past top speakers separated. Not all at the same time of the day. Something for everyone. Every session time should have a valuable session for every delegate type. Has your proposal been accepted? Congratulations. Now the real work begins! Hundreds of speakers sponsors and exhibitors have very high expectations. Didn’t get accepted? You’re in seriously good company and the odds were against you. It was nothing personal. The feedback is meant to be specific and actionable. In a few cases we suggested a proposed session be presented locally and tweak as necessary before proposing to present to a national / semi-global conference. Dust the knees off and propose again next year!